The highly awaited flash sales on mobile phones finally went live on Flipkart Big Billion Days last night, and the jubilation among fans regarding the same was evident on social media. As promised, Flipkart has offered notable discounts on iPhones as well as other brands like Xiaomi and Samsung. AajKiRaat contest which is closed as of now was also conducted in lieu of Flipkart Big Billion Days, wherein the winner will be rewarded a brand new iPhone XS Max. Winner will be announced by 3 October, 2018 on Flipkart Twitter page. Flipkart has teased that the ‘Lowest iPhone prices in the country’ would be offered to customers for Apple mobiles ranging from iPhone SE to iPhone XS Max. True to its words, the offer has been unveiled today. The iPhone XS which cost Rs 99,900 for the 64GB variant now receives a discount of Rs 5000 and costs Rs 94,900. Same goes for the iPhone XS Max which earlier cost Rs 1,09,900 for the 64GB variant now cost Rs 1,04,900. Other Apple iPhones that have received discounts are iPhone SE is currently priced at Rs 15,999 (was Rs 18,999), iPhone 6 at Rs 19,999 (was Rs 24,999), iPhone 6S at Rs 23,999 (was Rs 32,999), iPhone 6S plus at Rs 30,999 (was Rs 38,999), iPhone 7 at Rs 34,999 (was Rs 46,999), iPhone 7 Plus at RS 44,999 (was Rs 58,999), iPhone 8 at RS 53,999 (was Rs 62,999), iPhone 8 Plus at RS 63,999 (was Rs 71,999), and iPhone X receives a huge price cut and stands at RS 69,999 (was Rs 90,999). 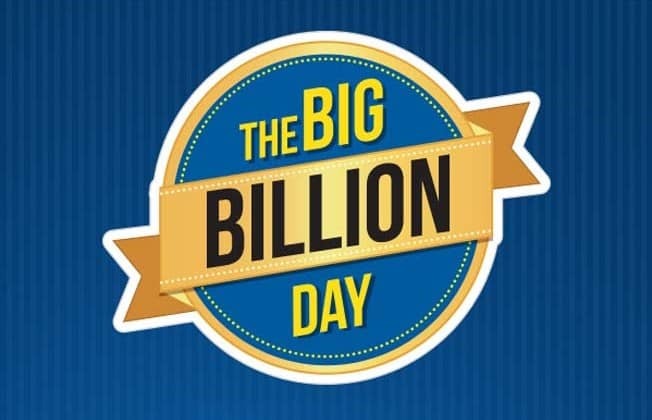 Flipkart has also partnered with Mastercard for the Big Billion Days sale through which Mastercard cardholders stand a chance to win an iPhone X for the winner of daily quiz on Flipkart and one lucky winner from all the quiz entries can win trip to Australia to watch India vs Australia One Day International cricket match. iPhone XS and iPhone XS Max Receive Notable Discounts on Flipkart Big Billion Days 2018 0 out of 5 based on 0 ratings. 0 user reviews. Apple iPhone XS, XS Max Highly Vulnerable to Hacking after iOS 12.1 Update?